"MANOLO: THE BOY WHO MADE SHOES FOR LIZARDS" is the charming portrait of legendary shoe designer Manolo Blahnik, whose impeccable dedication to his craft set a fashion standard among celebrities, stylists and industry icons. 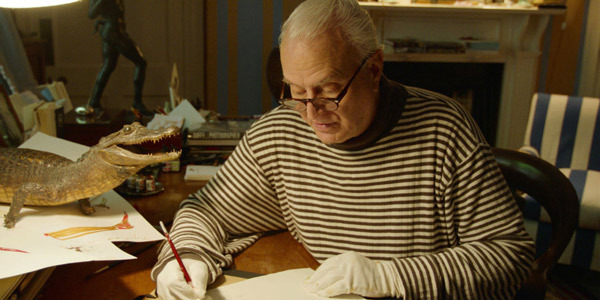 Longtime fashion journalist Michael Roberts presents this never-before-seen peek into Mr. Blahnik’s world. Regarded as a genius by some of the most revered figures in fashion, "MANOLO: THE BOY WHO MADE SHOES FOR LIZARDS" presents a behind-the-scenes peek into the designer’s world and features a ‘who’s who’ of the fashion and entertainment worlds including Anna Wintour, Rihanna, Paloma Picasso, Iman, Naomi Campbell, Rupert Everett, Karlie Kloss, Isaac Mizrahi and André Leon Tally. The film is produced by UK independent producer Nevision. Producers are Neil Zeiger, Gillian Mosely and Bronwyn Cosgrave. Line Producer is Zoe Loizou and the Executive Producers are James Cabourne, Tiggy Maconochie, Ralph Shandilya and Anne Morrison.